Girl band Fifth Harmony launch album "Reflection"
After months of waiting, Fifth Harmony, composed of Ally Brooke, Normani Kordei, Lauren Jauregui, Camila Cabello and Dinah Jane released their first full length album called "Reflection" under Syco seals, Epic Records and Sony Music Entertainment. A few hours of its release, the album reached number one in several countries, including Colombia. 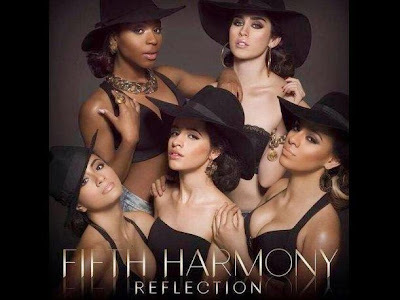 Reflection is in physical form from Saturday February 7th. Following the success of the single "Miss Movin On" and its version in Spanish, "Together", this production new album promises to show a side and a more mature sound Fifth Harmony, who were born in the second season of the American reality show "The X Factor ". It is noteworthy that Fifth Harmony signed a contract with Mattel to interpret "Anything is Possible" new anthem of Barbie, having the opportunity also to have their own collection of dolls of this brand, the same that will be launched worldwide.